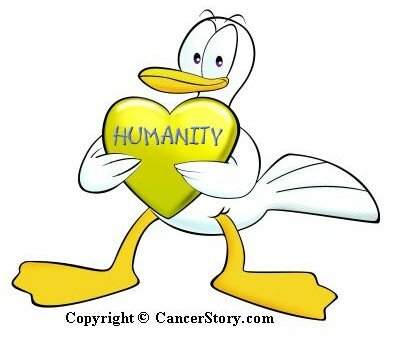 Humanity, mascot of CancerStory.com was launched on 30 June 2001 at the Wonderful World of Volunteers: The Singapore 21 Fair On Active Citizens. To-date, Humanity has raised S$9,198.00 for local charitable cancer organizations. Humanity will continue to take on the tough but challenging role to scout for donations from both corporate and individual sponsors towards any worthy cause helping people living with cancer and children living with childhood diseases.